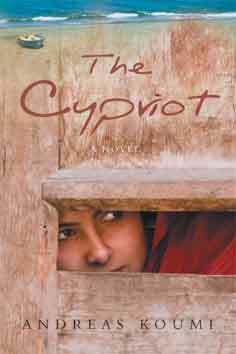 The Cypriot Academy has supported the researching, writing, editing and promotion of ‘The Cypriot’, a novel published by Dexter Haven Publishing, an imprint of Black Spring Press in July 2006. ‘The Cypriot’ is on sale or can be ordered at all good bookshops in the UK and Cyprus. Online it can be purchased from Amazon and Black Spring Press. The Greek version of ‘The Cypriot’, published by Dioptra as ‘Η προσμονη’ (‘The expectation’), is on sale or can be ordered at all good bookshops in Greece and Cyprus. A story of love across a divide of religion and identity, of passionate loyalties and heart-rending choices. The 1950s: Cyprus is under British rule. The struggle for freedom begins. To the Orthodox Christian majority, freedom means enosis – union with Greece. To the Muslim minority, enosis means disaster. Andonis, a Christian, struggles for his own freedom: to be a tailor and escape a life in his father’s fields; to be a Cypriot and be with his forbidden Muslim love. At stake are family and friendships, beliefs and traditions, village and homeland. The first promotional event for ‘The Cypriot’, which included a reading and discussion with the author, was filmed by Aspects Multimedia Productions and can be viewed as a webcast. Further readings and book signings have taken place at the House of Commons, Theatro Technis, Bruce Castle Museum, the Phoenix Cinema, Palmers Green Bookshop and branches of Waterstone’s in central and north London. Since launch the novel has enjoyed considerable success and acclaim. It has been praised by Cypriots on both ‘sides’, as well as by non-Cypriots, for its unbiased and conciliatory stance. It has been academically acknowledged as an ethnography for Cyprus and endorsed by the Cypriot Ministry of Education for reading in the island’s secondary schools. The novel’s philosophy has been embraced within UK policy on Cyprus (solution by Cypriots for Cypriots) after being read by the UK government envoy to Cyprus. In 2008 the novel was translated into Greek, becoming a top five bestseller in Greece and a number one bestseller in bookshops in Cyprus. The original English version was reissued in the UK in 2009 as a mass-market paperback, with promotion as a key summer read by WHSmith and Waterstone’s. For further details please contact mail@cypriotacademy.com.